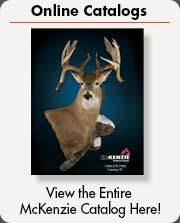 Learn the latest state-of-the-art procedures from the most comprehensive taxidermy reference library ever assembled! The Breakthrough Authors are the world's foremost taxidermists! When it comes to twenty-first century taxidermy instruction, we wrote the book on it! 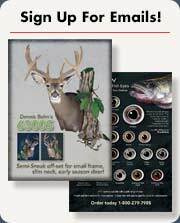 All Breakthrough Taxidermy Manuals feature the latest techniques for creating beautiful works of art that will stand the test of time. Taxidermy technology has changed greatly in the last twenty years. These books feature the most modern methods available. These manuals explain everything you need to know to create world-class taxidermy. All procedures are fully explained in easy-to-understand text and hundreds of clear black and white photos and diagrams. Learn about field care, reference materials, supplies, skinning, tanning, finishing and more! Each manual is complete -- loaded with practical information. And more are on the way! All books are fully illustrated with hundreds of photos and diagrams to take you through each project step-by-step. Plastic comb binding allows manuals to lie open on your workbench as you follow along. No taxidermist's reference library is complete without each edition of the Breakthrough Taxidermy System Manuals.